As a parent, it’s our duty to talk to our children and let them know right from wrong. Most parents get that part right. But there’s another side to the coin, the part that’s often overlooked. We as parents often forget to listen to our children as well. 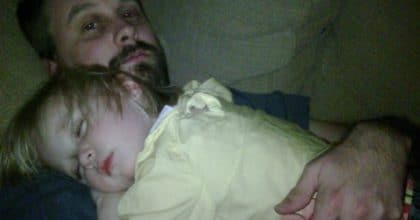 This story from AllProDad.com, will give you chills but is a great lesson for all. We all know what it’s like to get that phone call in the middle of the night. This night’s call was no different. Jerking up to the ringing summons, I focused on the red illuminated numbers of my clock. Midnight. Panicky thoughts filled my sleep-dazed mind as I grabbed the receiver. My heart pounded; I gripped the phone tighter and eyed my wife, who was now turning to face my side of the bed. “Daddy?” I could hardly hear the whisper over the static. But my thoughts immediately went to my daughter. When the desperate sound of a young crying voice became clearer on the line, I grabbed for my wife and squeezed her wrist. I drew in a sharp shallow breath, released my wife and pressed my hand against my forehead. Sleep still fogged my mind, and I attempted to fight back the panic. Something wasn’t right. “No! Please let me finish! Please!” She pleaded, not so much in anger but in desperation. I shook my head and when I didn’t answer, she jumped up and left the room, returning seconds later with the portable phone held to her ear. I clutched the phone and stared at my wife, seeking guidance. “I’m here, I wouldn’t hang up,” I said. “That’s good, Honey,” I said as relief filled my chest. My wife came closer, sat down beside me and laced her fingers through mine. I knew from her touch that she thought I was doing and saying the right thing. I listened to the silence in fear. When I didn’t hear her answer, I bit into my lip and closed my eyes. Somehow I had to stop her from driving. 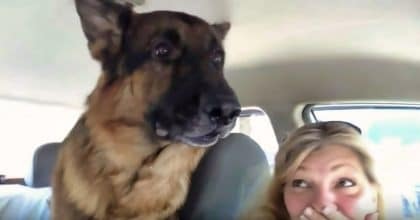 “I’m coming home, Daddy.” There was a click and the phone went silent. Moving from the bed with tears forming in my eyes, I walked out into the hall and went to stand in my sixteen-year-old daughter’s room. The dark silence hung thick. My wife came from behind, wrapped her arms around me and rested her chin on the top of my head. I wiped the tears from my cheeks. “We have to learn to listen,” I said. She pulled me around to face her. “We’ll learn. You’ll see.” Then she took me into her arms, and I buried my head in her shoulder. “Mom, Dad, what are you doing?” The muffled young voice came from under the covers. I walked over to my daughter, who now sat up staring into the darkness. “We’re practicing,” I answered. “Listening,” I whispered, and brushed a hand over her cheek. Don’t delete this. Don’t press back. Simply pass this on and let this light shine. Someone, somewhere, needs this message in their life right now, let it be through you.